. 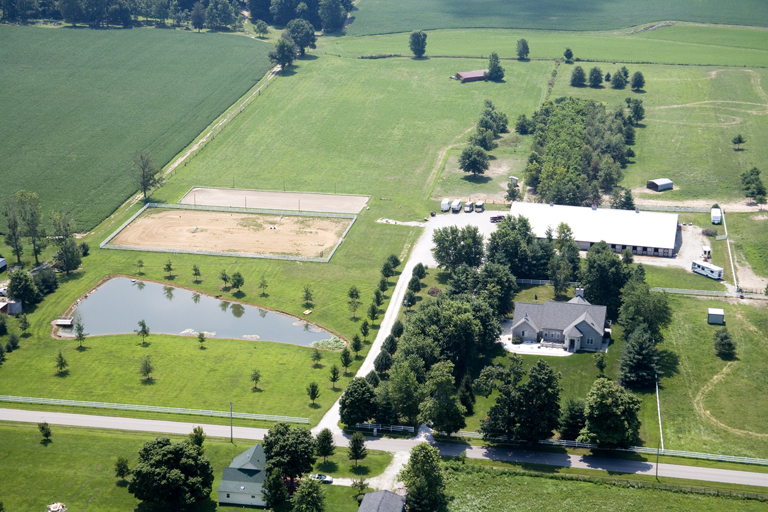 . . Indy’s Premier West Side Destination for Dressage and Jumping, Coatesville, Indiana! The 80 acres of Serenity Farms are nestled among farms of Indiana’s rolling countryside to provide a breadth of riding opportunities. The Vandalia horse trail is less than a mile away, providing miles of railroad bed trails groomed for horses. Indoor arena: a regulation 20 x 40 meter dressage arena complete with letters and mirrors all along the long side and the short side. The footing is a felt sand mix that provides excellent dust control and grip. The arena is ideal for most equestrian pursuits. Outdoor arenas: 20×60 meter regulation dressage arena, with dressage arena fencing and letters. 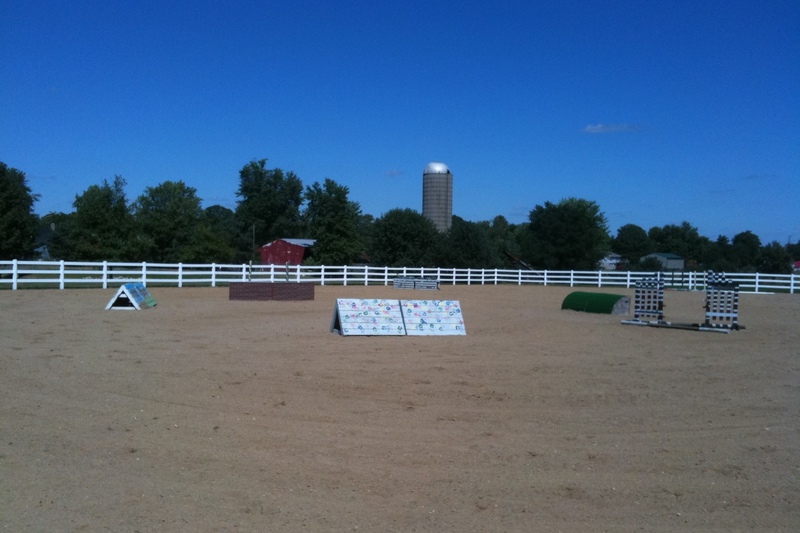 150′ x 200′ all purpose fenced arena, offering a full contingency of brightly painted jumps, both verticals and solid (brick wall, stone wall, 2 coops, half-round, brush box, a gait and plank jumps). The solid jumps are about two feet tall with the ability to have polls set above to increase the height. Galloping track: Around our own hay field we have a secure dirt galloping track measuring one-half mile. 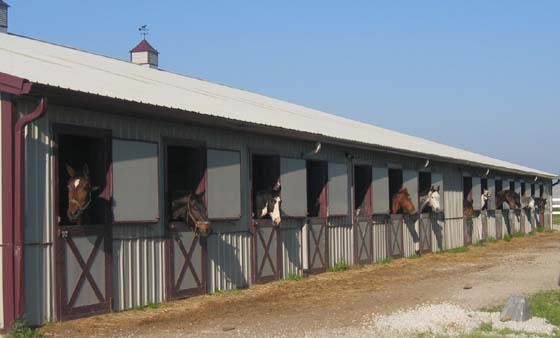 The boarding Stable: provides safe and airy 10’x12′ stalls with specialty flooring that assures a consistently level base to the stall. Horses are entertained by a view of what is happening in the indoor arena as well as out their own window. Horses frolic at least 12 hours a day on lush and large pastures. We Treat You Like Friends . . . and Your Horses Like Family!